Once fierce enemies, the divine love between Asira and Bensai provides everything they need to fulfill their destiny. Living on earth as Deborah and Ben Stewart, theirs is world of fortune and bliss. But a sinister and unknown force invades their peace. 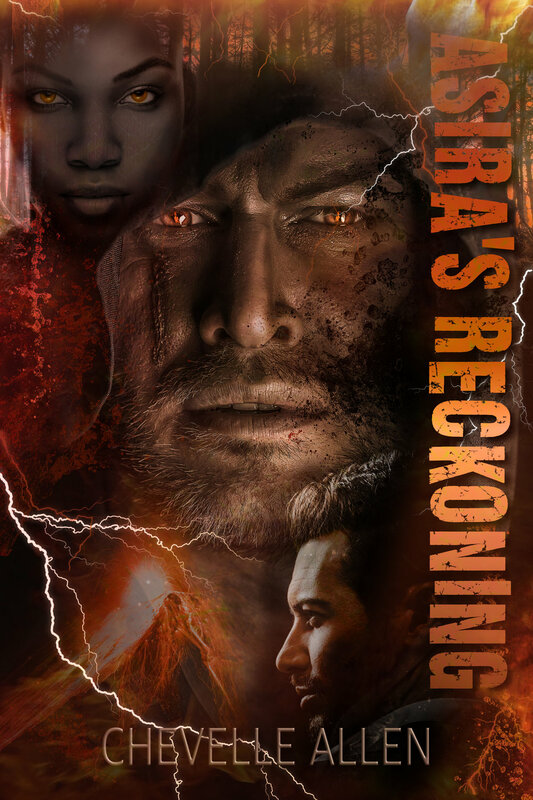 Banished and forgotten on a barren volcanic planet Veshlu turns his anger towards those he feels most responsible for his fate- Bensai and Asira, the favored gods. Finally freeing himself, he traverses the universe to Earth intent on destroying everything in his path- including the loving bond between Ben and Deborah. But he needs the perfect human vessel- Dr. Sean Truman. The war wrought by Veshlu left the Earth scorched and millions dead, including her beloved Bensai. Vulnerable and unable to leave her human body because of the child she carries, Asira searches for allies to put an end to Veshlu's reign forever. But his legions are vast, ruthless and murderous- and they are all hunting her. With few places to hide, Asira must chart a new path to restore balance and peace not just upon the Earth, but throughout the known universe and the Ruling Realm. Her unborn child is the key to it all. The only problem is, she isn't sure if her seed was fathered by Bensai or Veshlu. "Black folk don't kill themselves!" Dealing with the heartbreak of losing her husband to suicide, it pained Kim to hear this constant refrain from well-meaning friends and family. Reflecting on she shared with Derek, her grief leads her on a spiraling emotional journey. She begins to question everything, believing somehow she could have done something to help him--that somehow she could have prevented it all. Shutting herself off from virtually everyone and everything, only one person can break through to her- her best friend Greg. Can she become whole and find love again?